From humble beginnings as `barefoot boy' from a small town in South Africa, Barnard learned to mix with presidents and prime ministers, with royalty and popes, and embraced the high-life of the jet-set. 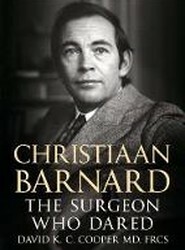 After becoming the first surgeon to successfully transplant a human heart he remained in the public eye through his gifts for speaking and writing. Winston Wicomb was too dark to fit in with his family's efforts to evade the Apartheid era's notorious inspectors and had to hide whenever there was a knock on their door. 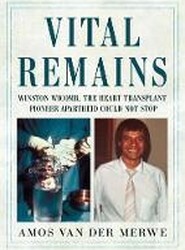 This is the story of an eternal optimist and profound dreamer who managed to rise from the backstreets of Cape Town to become an internationally recognized transplant pioneer.